's electric muscle stimulation has been substantially improved in a scientific way, as shown in the following aspects. As one of 's main products, tens units has wide applications. It is mainly used in the following aspects.With a focus on customers' potential needs, has the ability to provide one-stop solutions. 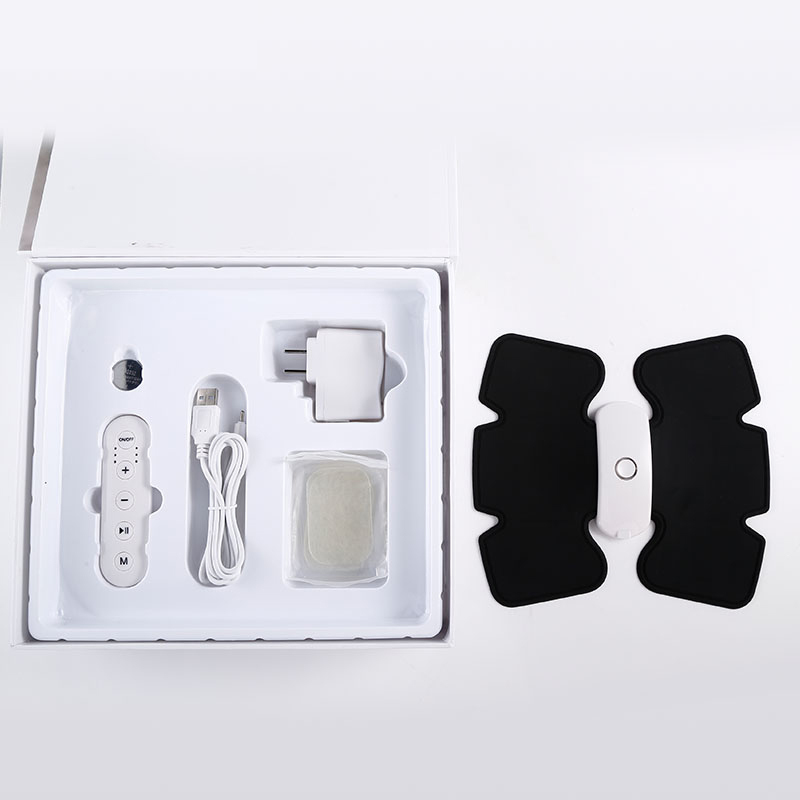 1. ab stimulator are well equipped and ensure longer functional life. Designed with ergonomics targeting abdominal muscle exercise. The exercise apparatus uses USB charging and exercise intensity of the machine increases by 35% than the similar products. The battery life of its is very long and it can do continuous physical exercise more than 60 times by charging only once. Adoptting high-grade soft PU, so it can give you a skin-friendly experience and the compactness increases by 40%. The conductivity of the machine increases by 20%, so that the current conduction becomes more uniform and you will feel more comfortable. This ab toner can be used anytime and anywhere. The gel pad can be worn unobtrusively under your clothes, making it ideal for muscle training while working,watching a movie or doninghousework etc. ◪ 3.Press the power button on the Wireless device. The blue light will begin blinking. ◪ 4.On the remote control, press the on/off button first. The light is on and the device will automatically show MODE 1. There are 6 modes in the unit. Press (M) to change the mode. ◪ 5. Stimulation will automatically stop after 20 minutes. Stimulation can be stopped at any time by pressing the on/off button on the remote control. DO NOT remove the device until treatment has stopped. ◪ 6. Press the (+) button to increase the stimulation to a comfortable level. To decrease the stimulation intensity anytime during treatment, press the (-) button. When the user switches the mode, the intensity will automatically go down to the minimum for safety reasons. 1. The name Domas represents a unique style Chinese ab stimulator brand. 2. With the help of technical strength, our ab toner is of good quality. 3. 2018 GShenzhen L-Domas Technology Ltd. adheres to the service theory of ab toner belt. Contact!